In a format where test wins often come by margins of a tenth-of-a-second or less, being consistently fast throughout the two-day event is key. 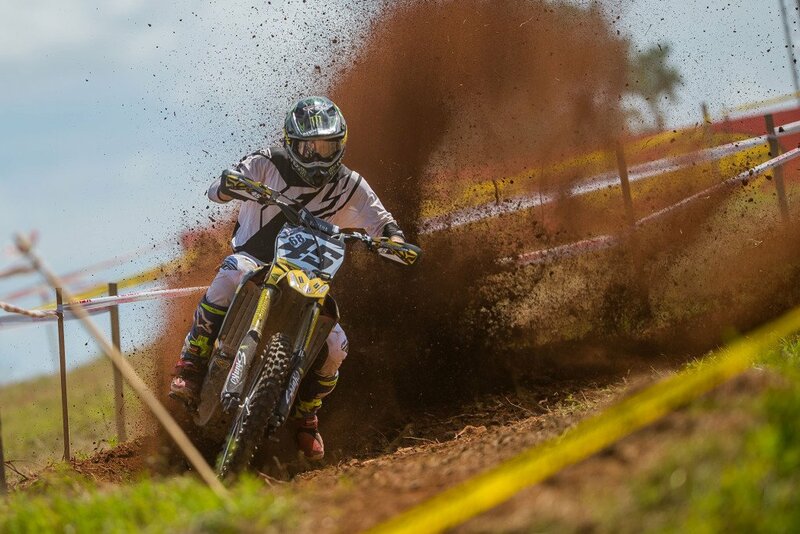 Rockstar Energy Husqvarna’s Josh Strang proved this at round five of the KENDA Full Gas Sprint Enduro Series presented by Moose Racing by taking 3 of 12 test wins and finishing a close second-place in seven tests to take his 2nd-straight overall win of the season by a margin of 10-seconds over KR4 Performance’s Thad DuVall and Coastal Racing’s Layne Michael. 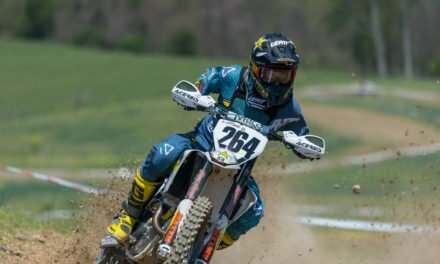 The first test of the weekend was the cross test that featured much of the Lost Valley Motorsports Park’s motocross track so it was no surprise when former pro motocrosser, and 2015 ISDE overall winner, Ryan Sipes took the test win by 1.5 seconds over Strang with Thad DuVall another 2 seconds back. 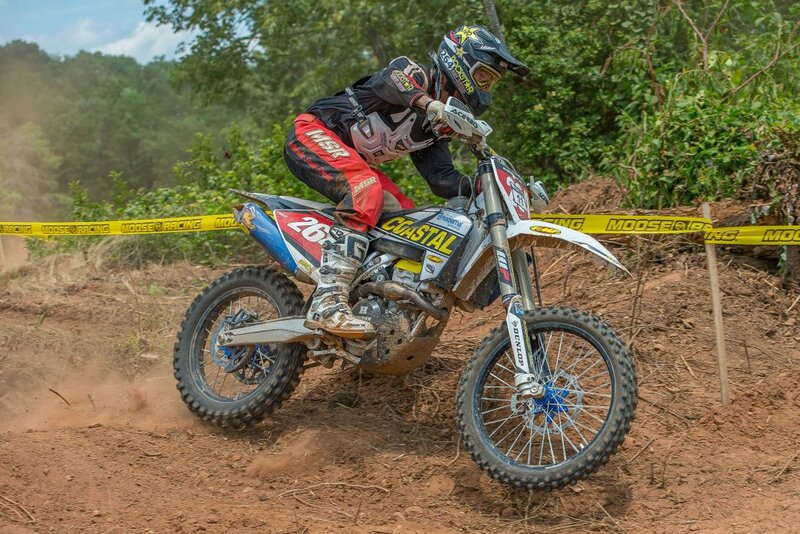 DuVall jumped out to the weekend lead after the 2nd test, the enduro test, as he took a 4-second win over Strang and put 12 seconds on Sipes who finished 4th in the test, one-second behind SRT Off-Road’s Cory Buttrick and just ahead of his Coastal Racing teammate, Layne Michael. 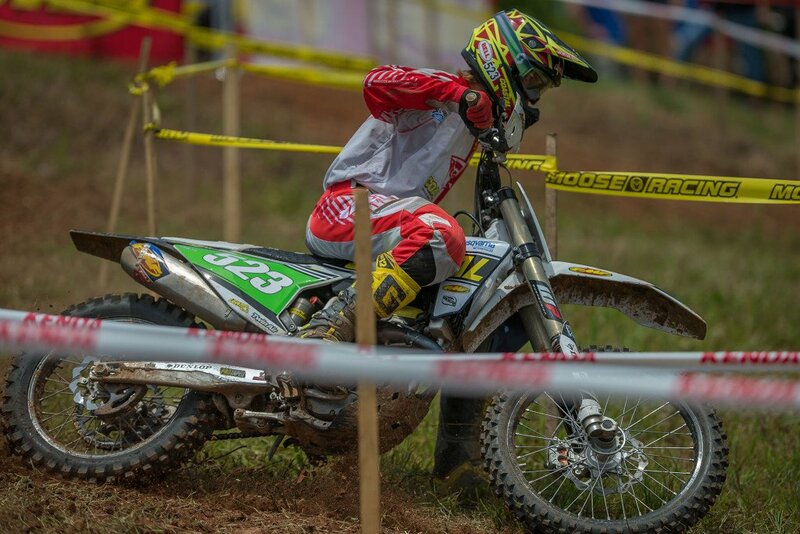 As the temperatures outside reached the mid-90s, the action on the cross test was just as hot with Sipes continuing to be the fastest on the day, but Strang kept him on his toes by finishing just .092 behind him in the 2nd running of the test and just over a second behind him in the final cross test of the day. 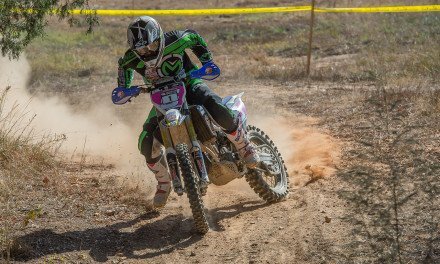 DuVall and Strang would trade test wins in the final two enduro tests of the day and use those tests to help build their advantage over Sipes who finished a 3rd and a 4th in the final two enduro tests but dropped a combined 22-seconds to Strang in those tests alone. At the end of day one, Strang sat at the top of the leaderboard with a 6-second advantage over Duvall, with Sipes another 20-seconds back. Behind the top-three, a tight battle was raging between Cory Buttrick and Layne Michael for the top- as they finished the first day less than 3-seconds apart. 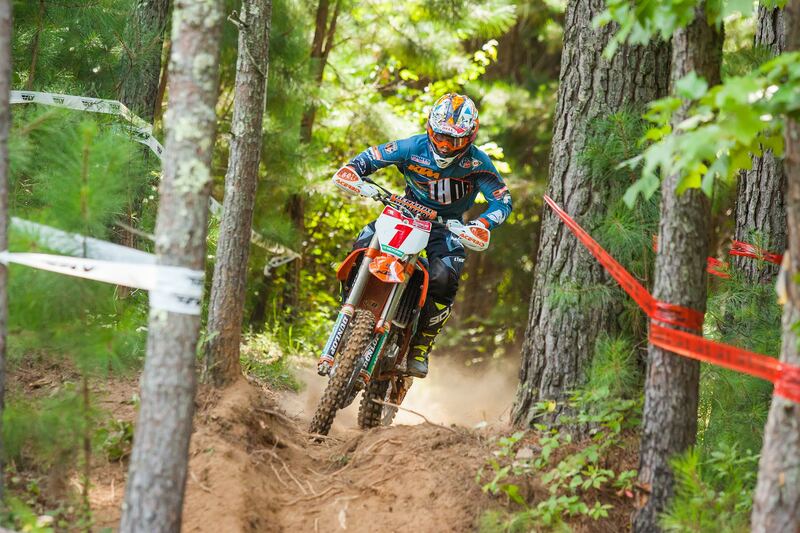 Sipes came out swinging on day two, taking the first cross test win by 3-seconds over Strang and 4-seconds over DuVall, then showed serious improvement in the enduro test by taking the win in the first enduro test of day two by 1-second ahead of DuVall. 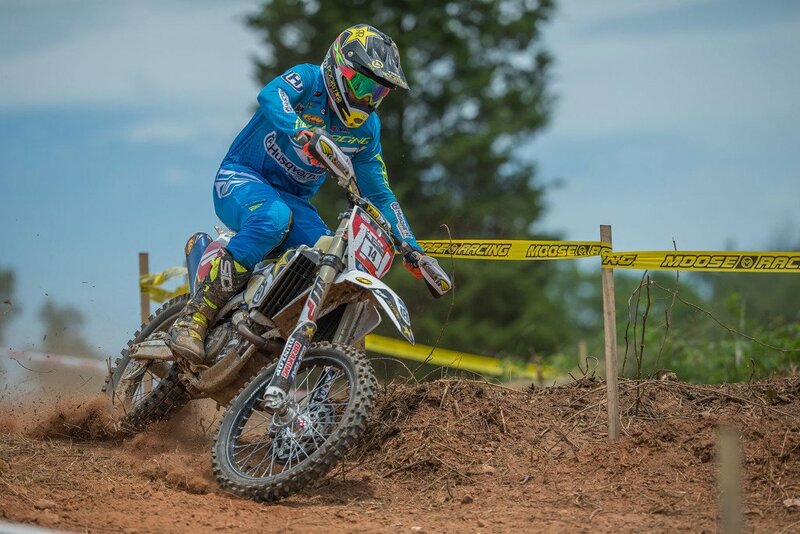 The third test of the day, the cross test, would ruin Sipes’ chances of a run at DuVall and Strang as a big crash resulted in him dropping over one-minute to the two leaders and move him back to 5th-overall for the weekend. With his lead cut down to 4-seconds, Strang rebounded with wins in the 3rd and 4th tests and a 2nd behind Sipes in the 5th test to stretch his lead out to 15-seconds ahead of DuVall. A 4th-place in the final test of the weekend for the Australian was good enough to clinch the overall weekend win by 10-seconds ahead of DuVall who took the final test win of the weekend. 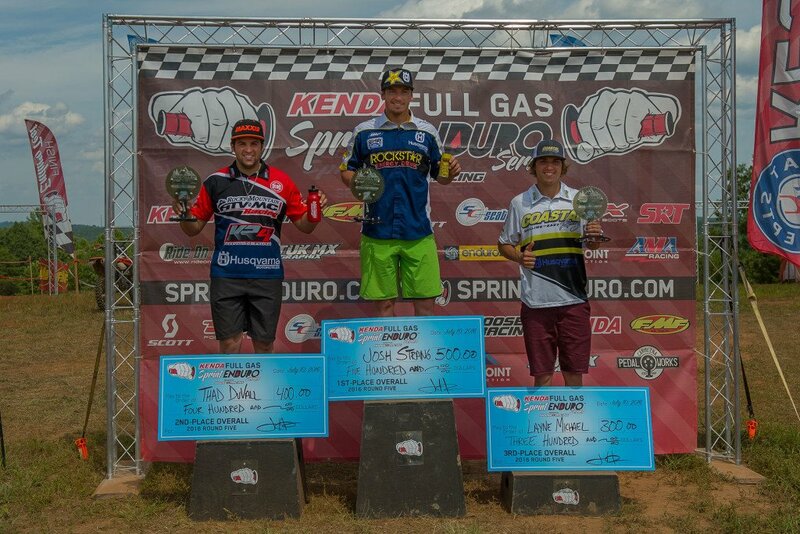 Layne Michael would edge out Cory Buttrick for the final podium spot by just 8-seconds with Ryan Sipes rounding out the top-5 overall. 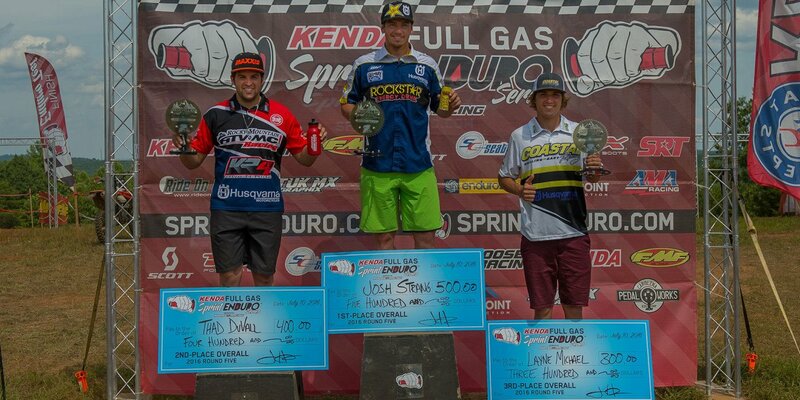 Billy Schlag would take the Open A class win, as well as the top-amateur spot, with an impressive 6th-place overall. 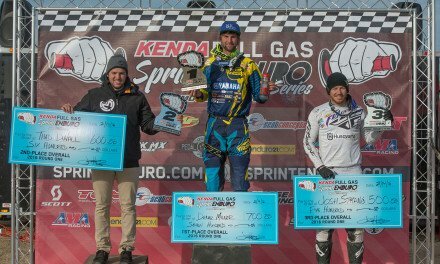 Luciano Benavides would finish 2nd in Open A and 7th overall, with motocross legend Damon Bradshaw finishing 3rd in Open A and 8th-place overall in his first-ever off-road race. 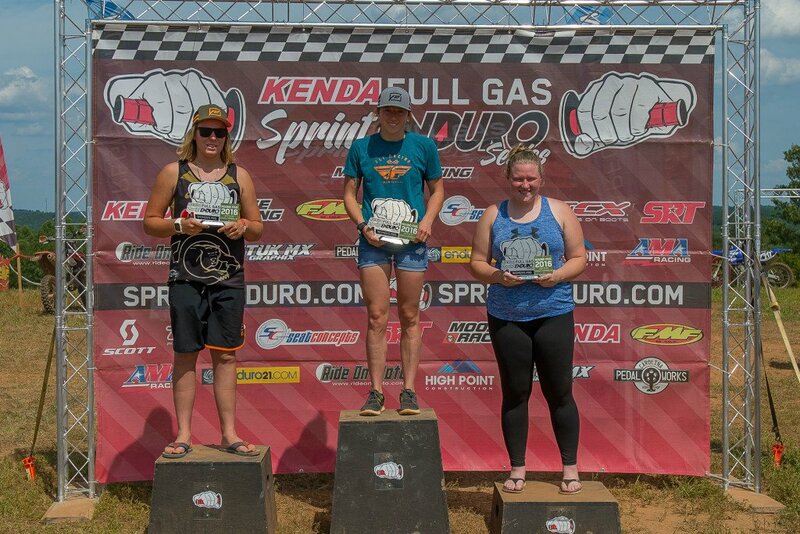 The tightest battle of the weekend was in the Women’s Pro class as Becca Sheets and Mackenzie Tricker would battle to the last test with Sheets taking the overall win by just 1.4 seconds. 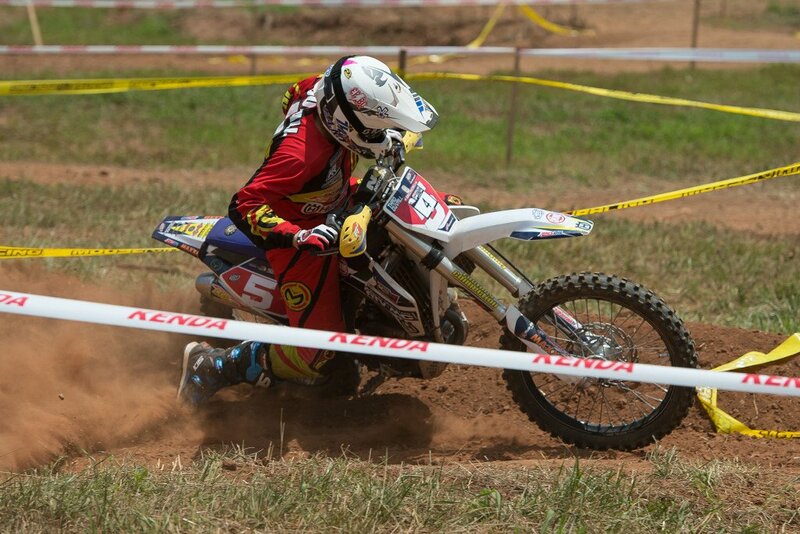 Wendy Jaudas would round out the Women’s podium in 3rd.